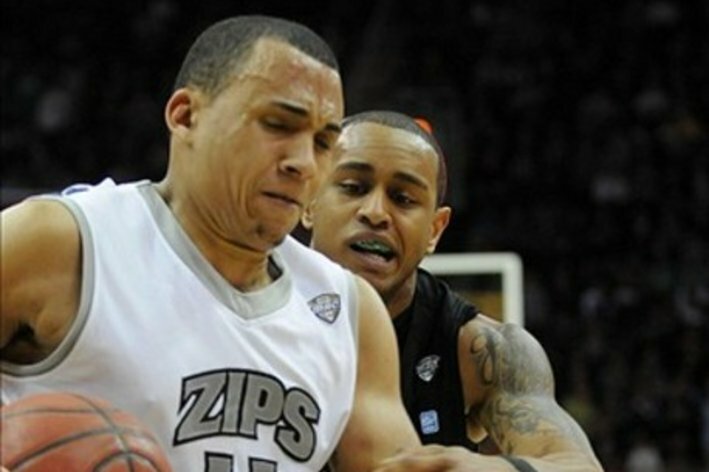 Even without one of their key players, the Akron Zips had no such troubles this week in the 2013 MAC Tournament in Cleveland as they defeated the Ohio Bobcats this evening by a 65-46 final to advance to their third tournament in five years and their fourth overall. Many were concerned with the Zips as they would be without point guard Alex Abreu, who was arrested and then suspended over a week ago for possessing and trafficking marijuana. But on Saturday evening, they appeared to have no such trouble against a game Ohio team. Akron was led by junior forward Demetrius Treadwell, who had 13 and 10 and featured a balanced scoring output similar to what they have shown all season long.